At the 455th meeting of the BACA Council on February 15th Nick Weston of Weston Aviation was elected to the position of BACA Deputy Chairman. He will share the role with Volker Meissner of ARGUS International during a transition period as BACA moves forward to its next stage of development. 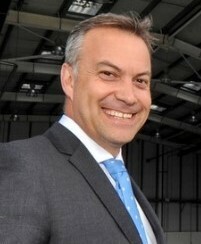 As CEO of Weston Aviation Nick is well known throughout the industry and has decided the time is right to take on the role of Deputy Chairman. One of Nick’s key aims is to ensure that BACA becomes “the global broker association” representing and speaking on behalf of brokers worldwide. In his presentation to the Council Nick advised how he would like to develop global links with brokers and increase the membership to include international brokers, operators and support industry companies. BACA is working to fully engage with brokers, operators and airlines, CEO Dave Edwards has created a number of committees from Council members to drive this initiative forward.